Jason: I really liked your blog on fixed point anchors. One additional point that I thought might be worth making is that this method is also a good choice for a crux just above the belay when there is a greater chance that the leader may take a fall on a sketchy series of moves with no pro available for 8 to 10 feet or more; also later in the pitch when there is a significant risk of a factor 1 or higher fall. 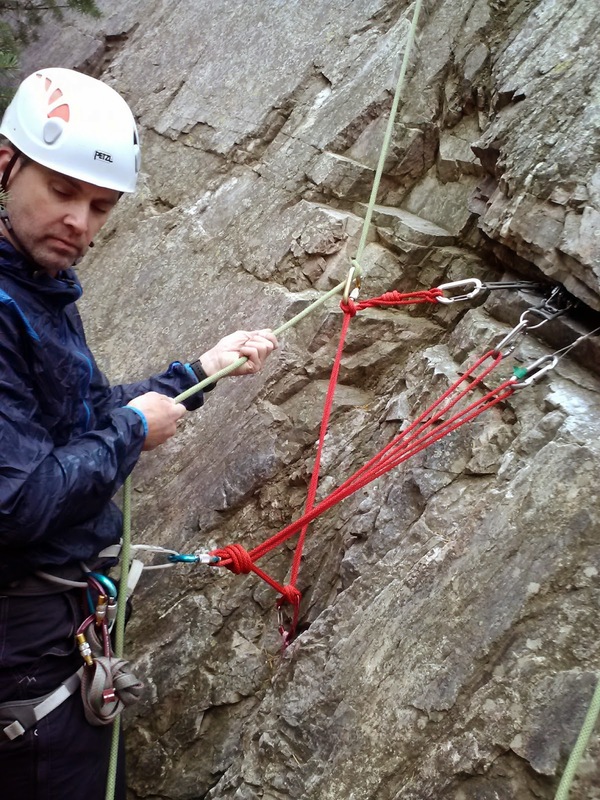 I have seen one video test where a FF1 fall on a normal belay viciously slammed the belayer up and into the rock, whereas the fixed point belay was far less severe and controllable. It was reported that none of the test researchers were willing to try to hold a FF2 fall with the usual lead belay method. 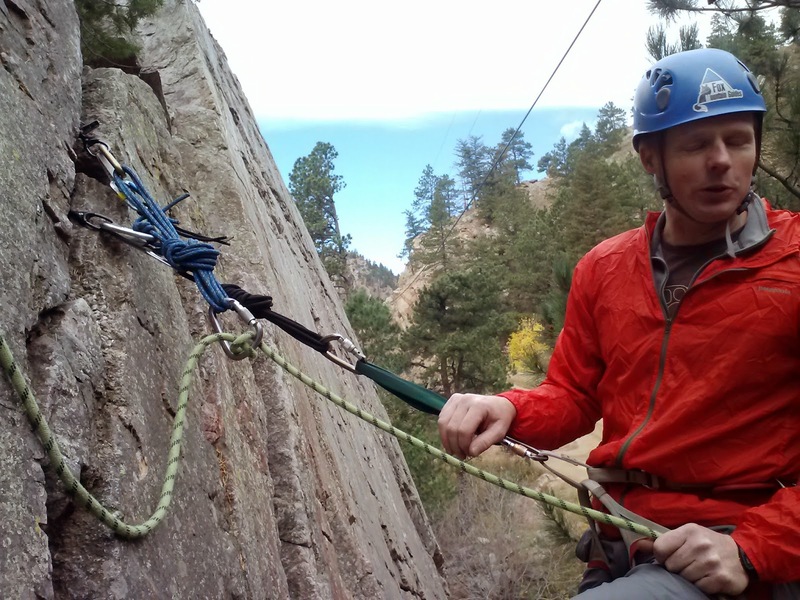 One device that may be especially suited for fixed point belays may be the Alpine Up. The relevant section of the video is towards the end. hey Jason, thanks for this blog post. I have been thinking about how best to anchor the belayer while belaying a leader in a ice climbing multi pitch situation. I have seen videos of the belayer getting thrown around and the thought of that happening while wearing crampons concerns me. A while back, I heard of an accident on Louise Falls where a lead fall pulled and rotated the belayer and broke both legs. The cramponed feet where fixed in the ice. It seems like belaying with this fixed point bolt anchor using a quad equalized is a good thing.